Light up your (LED) Life! So I’m excited. I just got my annual LED Christmas present on the slow-boat from China! They’re out of Hong Kong and have a huge array of techy stuff for very cheap. Particularly cheap compared to here… LED lights! 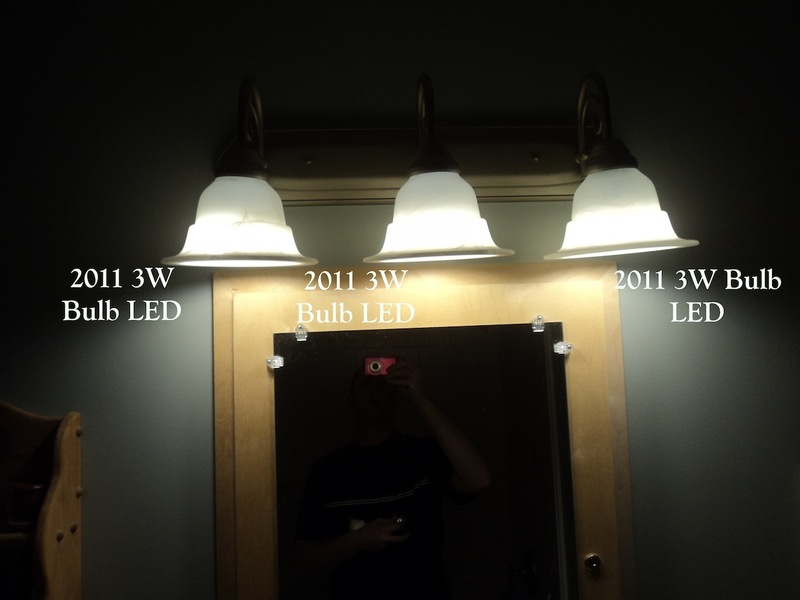 The past 3 years (Dec 2008, Aug 2009, and Jan 2011), I’ve bought myself a $50-$60 present… comprising the latest LED lighting technologies. It’s been a long road… but it looks like LED technology is finally maturing. And NO you do NOT have to spend $58 for a single bulb from London Drugs or Canadian Tire (I was in both stores recently and was shocked at the prices). I bought these bulbs at around $8-$15 a piece. The latest bulbs I bought, I bought 7 for $60. Roughly the same price as ONE LED bulb and CanTire. 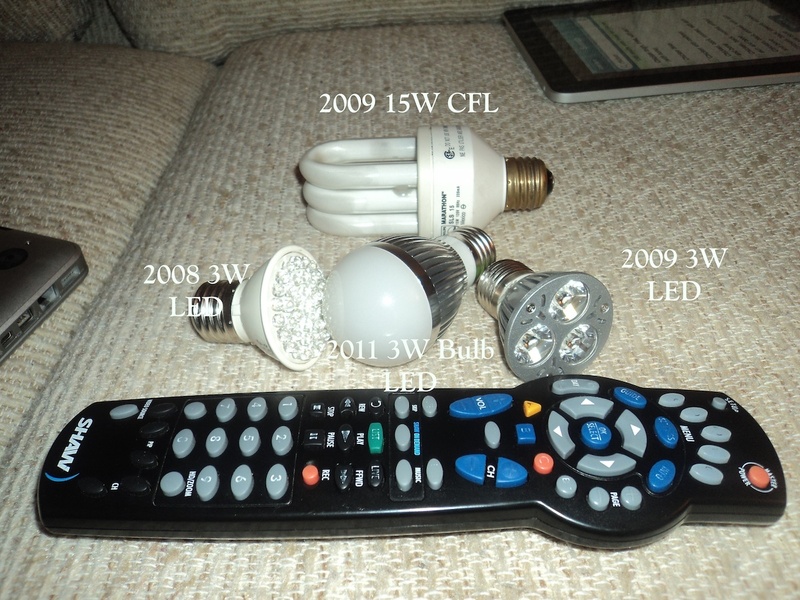 Here are my three purchases plus a CFL…. for size comparison, I included the Shaw remote. Look at the difference in light and brightness. 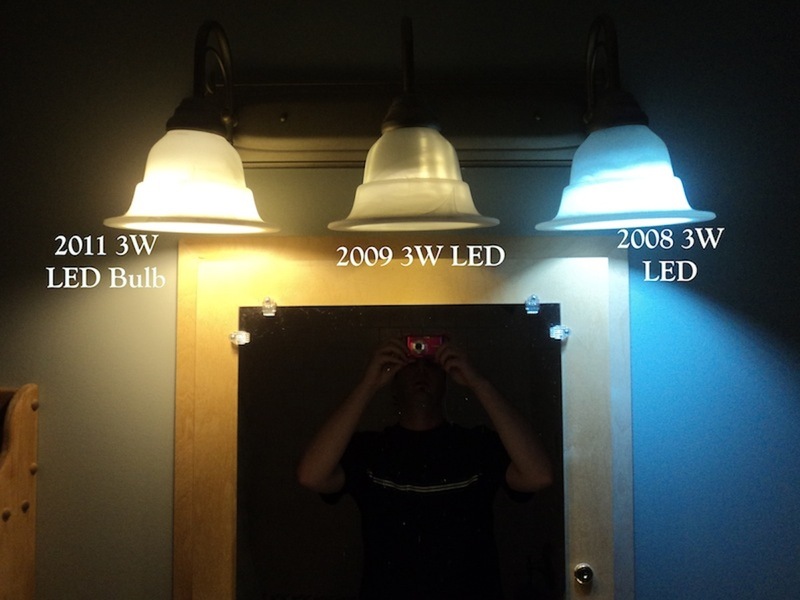 The 2008 bulb was “supposed” to be a “Warm” white… ya, not so much. This is in my bathroom fixture. The CFL is still the winner in overall brightness, but the gap is definitely narrowing. 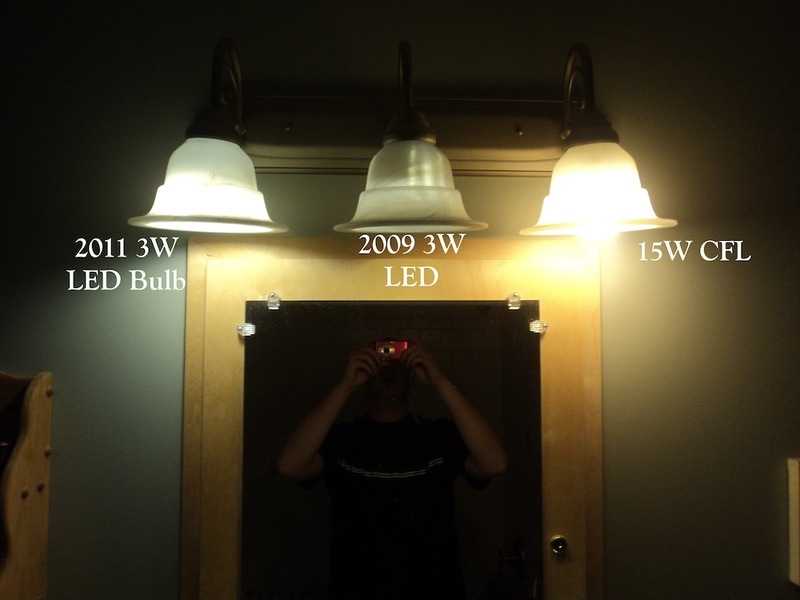 And now with 3 2011 Bulb LEDs … these use 9 Watts vs. the 15W for the one CFL. Previous PostEarth Day Message — Vote!Next PostAbbeyfield plants garden plots!